Tarlton had a rough life before he came to Best Friends. He was named for the construction yard where he was found. Perhaps because of something in his rugged past, he shows some guard dog behavior. 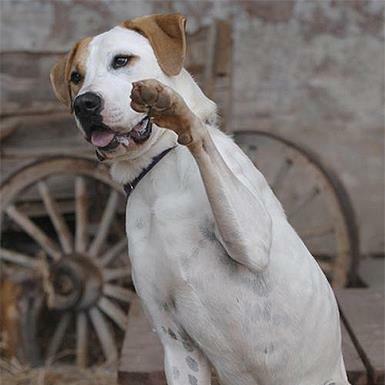 He needs a slow introduction to new people, but once he gets to know them, Tarlton becomes the most affectionate dog. 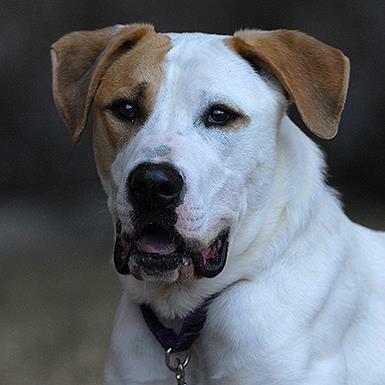 He loves to give slobbery kisses and to climb in people's laps, even though he really doesn't fit.Tarlton was born in 2006 and is on a special diet for allergies. He knows tricks like "roll over,? "twirl? and "crawl.? He's a world-class cuddler and bed-hog, though he also enjoys long walks. 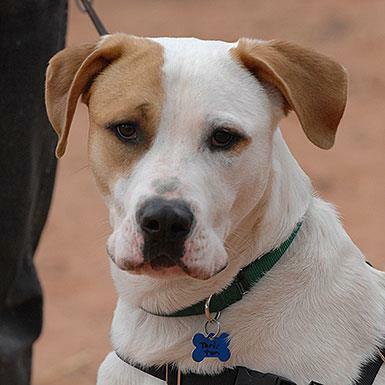 Tarlton will make an amazing friend for a dog-savvy person who can give him a little guidance. He's a sensitive guy who craves love, and he can't wait to give his heart to someone special.Tarlton is part of our Single Pets* program! That means that he is eligible for a free flight home and waived adoption fee! *Single pets do best as the only dog or cat in the home.